Almagor, a prominent terror-victims group that consistently leads the campaign against the release of murderous Palestinian terrorists, has called once again for the death penalty. The latest call is prompted by today's news that the kidnap-murder of the three youths several weeks ago was masterminded by a terrorist released in the Gilad Shalit deal nearly three years ago. The Walla! news agency reported today, quoting Palestinian Authority security sources, that Mahmoud Ali Kawasmeh, a Hamas terrorist expelled to Gaza in the Shalit exchange, initiated the abduction and murder of Gilad Sha'ar (16), Naftali Frenkel (16) and Eyal Yifrah (19) on June 12. Kawasmeh is still at large, though his brother Hussam was arrested last week for participating in planning the attack. A third brother, Marwan, is said to have actually carried it out, together with an accomplice. "The convoy of politicians and Shalit-deal publicists dashed towards the release of over 1,000 terrorists practically with glee," says Almagor Chairman Meir Indor, "while we begged them to stop before they reached the cliff. The heavy price we have paid for that mistake must be rectified with deeds, not with bombastic declarations. The State Prosecution must demand the death penalty for every terrorist freed for Shalit who commits another murder – including the murderer of Baruch Mizrachi." Mizrachi, the father of five and the head of an important police department unit, was fatally shot by Ziyad Awad this year as he drove with his family to a Passover Seder in Kiryat Arba. Originally jailed for murdering Arabs he suspected of collaborating with Israel, Hamas member Awad was one of the 1,027 terrorists released in exchange for Gilad Shalit's freedom. 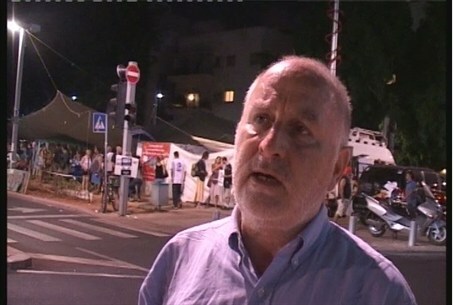 "Everyone involved in the Shalit deal must now make his way to the cemetery in Modiin," says Dr. Aryeh Bachrach of Almagor, "and ask forgiveness on the graves of the three youths who were abducted under the orchestration of this terrorist freed in the Shalit deal. Along the way, they can also stop at Mt. Herzl and similarly ask forgiveness from Baruch Mizrachi." Murderers are executed in nearly 2/3 of the 50 states of the U.S. – even if the murders are not motivated by terrorist hatred. Between 1976 and mid-2011, the state of Oklahoma put 111 criminals to death, the country's highest per-capita rate, while Texas had the second highest rate and the largest number of executions: 515.